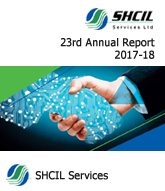 SHCIL Services Ltd (SSL) is a SEBI registered Corporate Stock Broker providing safe and reliable services to all institutional and retail clients across length and breadth of the country. SSL offers services in both Cash and F&O segment of BSE & NSE and Currency Derivatives segment of NSE. SSL started broking operations in July 2006. It has a large clientele base in retail segment. It has also wide clientele in institutional segment comprising leading domestic institutional investors, including Mutual Funds, Insurance Companies, Banks and other Financial Institutions. 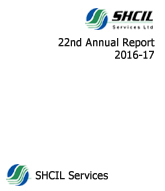 SSL strength lies in the operational synergies and leverage of the parent company Stock Holding Corporation of India Ltd. (SHCIL) which was incorporated at the special initiative of the Government of India as a public limited company in 1986 and is jointly promoted and owned by the all India banks and financial institutions, viz., IFCI Ltd, LIC, SU-UTI, GIC, NIA, NIC, UIC and TOICL. 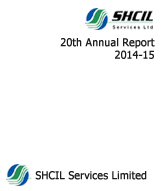 SSL is a broking arm of SHCIL. SSL ensures safety measures and protocols that every transaction is executed only after its authenticity is established. SSL affirms that openness and transparency form an essential pillar of its culture and operating principle. It shall endeavor to maintain the highest possible standard in this respect throughout the spectrum of its activities. SSL strongly emphasizes on confidentiality and integrity in its dealings. It ensures that information is accessible only to those authorized to have access. SSL conducts business according to certain self recognized moral standards. 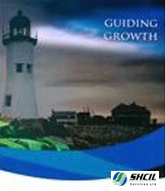 It strongly follows the set principles in relation to business practice and decision making in business.